The name sounds like it could be a players’ trade union, but it’s not, it’s a new professional Spring league that will begin playing its inaugural season the week after the Superbowl. That’s great news for Football fans who would normally be starved of action and suffering from post-NFL withdrawal symptoms once mid-February comes around. Featuring eight teams split into two conferences, it’s the brainchild of broadcaster Charlie Ebersol and former NFL general manager, Bill Polian. It will have a ten-week regular season, a four team play off and a Championship game to be held in Las Vegas in April. CBS have the broadcast rights. 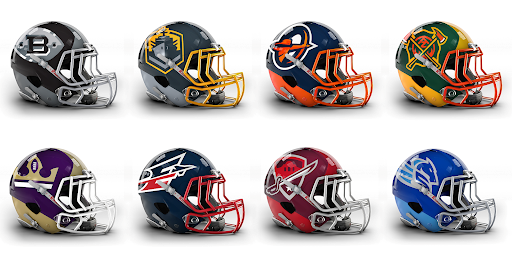 One conference features the San Antonio Commanders, San Diego Fleet. 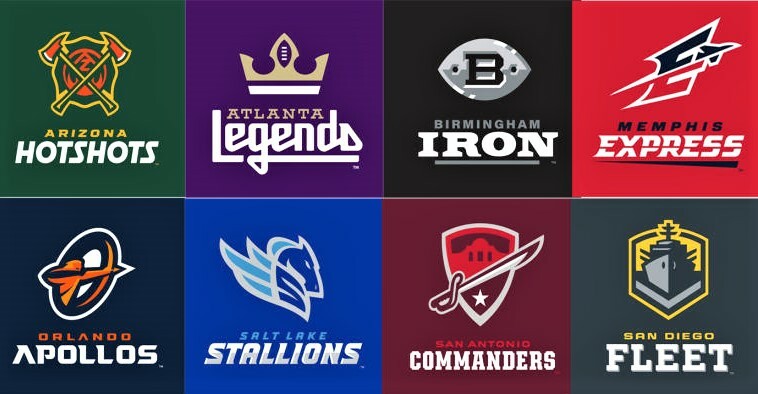 Orlando Apollos and Salt Lake Stallions, whilst the other has the Arizona Hotshots, Atlanta Legends, Birmingham Iron and Memphis Express. The League provides an opportunity for talented players and coaches who have perhaps been on the bubble in the NFL to continue with the game and perhaps find a way back into the big league. You will be familiar with some of the names involved. On the coaching side Mike Singletary, Steve Spurrier, Mike Martz and Rick Neuheisel will be pacing the side-lines, whilst between the lines you’ll see players like Trent Richardson, Aaron Murray and Bishop Sankey. The League management structure also has a number of high-profile ex -players involved who are looking to contribute with the knowledge and insight they accrued during their playing days. Former Steelers legends Hines Ward and Troy Polamalu are involved, whilst Michael Vick is an assistant coach. In August 2018 they held a combine and signed 250 players (each team will have a 50-man roster). Following on from that there was a quarterback draft held in Vegas in November. There will be some tweaks to the rules with an eye on player safety. There will be no kick-offs, with teams starting possessions from their own 25-yard line, and no PAT kicks, the teams will have to go for two. The players have all signed three-year contracts (this should stop the proposed XFL from poaching players when it starts play in 2020), but they will have a clause that allows them to leave to play in the NFL if they get the opportunity. All the teams are centrally owned and if you look at the geography, you’ll see that they are mostly based in the south. Hopefully fans in the UK will get the chance to watch the games, so keep your eyes peeled for news on that, I think I’ll follow the San Diego Fleet (love the city).